This short King George V and Rudyard Kipling - 1932 Royal Christmas Message featured is in the form of a transcript, extract, passages or lines and demonstrates the good oratory skills of a great public speaker with the ability to use clear words and text. Speech Example Topic / Subject Type: Inspirational / Inspiring Speech. Through one of the marvels of modern Science, I am enabled, this Christmas Day, to speak to all my peoples throughout the Empire. I take it as a good omen that Wireless should have reached its present perfection at a time when the Empire has been linked in closer union. For it offers us immense possibilities to make that union closer still. It may be that our future may lay upon us more than one stern test. Our past will have taught us how to meet it unshaken. For the present, the work to which we are all equally bound is to arrive at a reasoned tranquillity within our borders; to regain prosperity without self-seeking; and to carry with us those whom the burden of past years has disheartened or overborne. My life's aim has been to serve as I might, towards those ends. Your loyalty, your confidence in me has been my abundant reward. I speak now from my home and from my heart to you all. To men and women so cut off by the snows, the desert or the sea, that only voices out of the air can reach them; to those cut off from fuller life by blindness, sickness, or infirmity; and to those who are celebrating this day with their children and grand-children. To all - to each - I wish a Happy Christmas. God Bless You!. 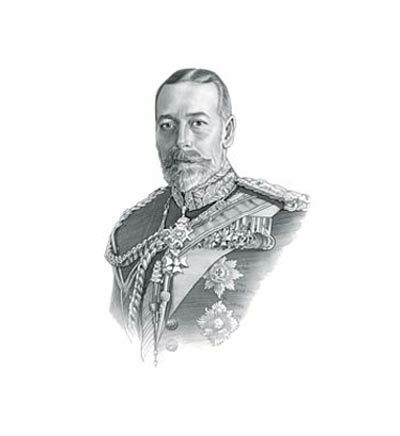 This famous short King George V and Rudyard Kipling - 1932 Royal Christmas Message is a great example of a clear address using excellent text to persuade and inspire the audience by a natural leader and motivator. Use this famous short transcript of the King George V and Rudyard Kipling - 1932 Royal Christmas Message as an example of a great oration and clear dialogue. A Quote or extract from this short King George V and Rudyard Kipling - 1932 Royal Christmas Message, provides an illustration of, or allusion to, the famous events the era. This famous short King George V and Rudyard Kipling - 1932 Royal Christmas Message is famed for its powers of verbal communication making good use of the words and language to illustrate the subject. Whether this short address can be described in the category of powerful, persuasive, motivational or inspirational speeches the excellent powers of oration which are used makes it a famous short speech.